Department of Expenditure (DoE) vide OM No. 58(2)/E.III(B)/2014 dated 18th February, 2014(enclosed) has forwarded the letter/documents demanding upgradation of the grade pay of LDC & UDC to Rs. 2400 & 2800 respectively, to the Financial Adviser, Ministry of Statistics & Programme Implementation(MoS&PI) with a direction to examine the representations and forwarding the same to DoE for consideration in the form of a proposal, through IFD. In this respect, this Association has already made it clear that the LDC & UDC issue is a clear anomaly aroused due to the discriminatory recommendation/implementation of the 6th Pay Commission and the same is to be rectified as an anomaly and not as a cadre restructuring. As has already informed you that this Association has decided to file a case in the CAT by 1st week of March for getting implemented the upgradation from the date of implementation of the 6th CPC and the preparation for the same is in full swing. However, since the DoE has directed the MoS&PI in favour of upgradation of Grade Pay of LDC and UDC, a letter demanding implementation of the upgradation from 1.1.2006 is being sent to the Joint Secretary, MoS&PI before filing the case. The undersigned is directed to forward herewith letter No. 4/GS/2013 dated 14/10/2013 from Shri T.K.R. Pillai regarding upgradation of Grade Pay of LDC and UDC in administrative branch of Government of India offices and to state that this Department does not consider the representations received from individuals or Associations and they are forwarded to the concerned administrative ministries/departments. The Administrative Ministry/Department concerned is required to examine the representations and if merit is found, the same may be forwarded to this Department for consideration in the form of a proposal, through IFD. The letter was earlier forwarded to DOPT, who in turn have returned it stating that LDCs and UDCs in the Administrative Branch of Government of India does not come under the CSCS cadre. 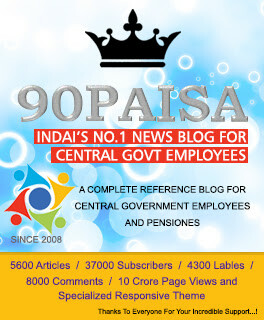 It is recently seen that 10+2 are recruited at postal assistant/sorting assistant are given the grade pay of Rs.2400. Where as most of the LDCs are Graduates or Plus 2 and it is also mandatory for them to pass typing exam and computer course, also need to carry most important and crucial work but they are paid the Grade Pay or Rs.1900 why injustice is done to LDCs. It is recently seen that 10+2 are recruited at Lab assistant/Library assistant are given the grade pay of Rs.2400. Where as most of the LDCs are Graduates, Post Graduate or Plus 2 and it is also mandatory for them to pass typing exam and computer course, also need to carry most important and crucial work but they are paid the Grade Pay or Rs.1900 why injustice is done to LDCs.